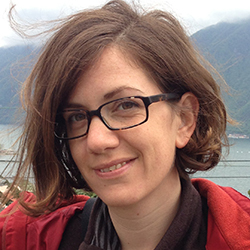 An interdisciplinary team studied attitudes towards modes of transit in Evanston and Humboldt Park. With the L, Divvy bikes, buses, Uber, and Lyft, Chicago has no shortage of transportation options. But whether or not people actually explore all these options might be determined by the neighborhoods in which they live. A new study from Northwestern University compared Evanston and Humboldt Park residents’ attitudes toward various modes of transportation. The researchers found that Evanston residents more readily accepted new active mobility modes, such as bikeshare programs. But Humboldt Park residents exercised skepticism toward such programs, viewing them as signs of privilege and gentrification. The study’s results could inform policymakers on how to best understand the embedded norms and values of different neighborhoods in order to address their transportation needs. The study was recently published in the journal Transportation Research Part A. Stathopoulos is the William Patterson Junior Professor of Civil and Environmental Engineering in Northwestern’s McCormick School of Engineering. To design the study, an interdisciplinary research team of engineers and cognitive psychologists organized several small focus groups in Evanston and Humboldt Park, which met in summer and fall of 2016. The researchers then used machine learning to scour transcripts of the focus groups’ conversations. The machine-learning algorithms first identified prevalent clusters of words that connect together to form important themes within the dialogue. A second algorithm, called sentiment analysis, was used to tease apart the participants’ feelings toward various modes of transportation. After analyzing the conversations, the researchers noted that residents in Evanston and Humboldt Park agreed that society should move away from car-centrism and toward active mobility. But they disagreed on how to meet that objective. Whereas Evanstonians feel comfortable with bikeshare systems moving into their neighborhoods, Humboldt Park’s residents largely viewed these systems through a lens of distrust. Biehl noted that Evanston strives to be a leader in multimodalism, so adding bikeshare systems fits the identity that Evanston is already trying to build. And while some Humboldt Park residents are not necessarily closed-minded toward bikeshare systems generally, they dislike the lack of community consultation and view it as a general disregard for concerns of residents in traditionally underserved neighborhoods. “One reason current bikeshare usage is lower than anticipated is that some local residents may feel they did not ‘consent’ to its presence in Humboldt Park,” Biehl said. The researchers also found that social status can pose a barrier to adopting certain modes of transportation. There is a clear disparity between Evanston and Humboldt Park regarding economic, public health and technological resources, and that tends to color attitudes toward transportation options. In Evanston, for example, riding the bus is often tied to lower social status. Humboldt Park residents, however, view the bus as simply a practical utility. 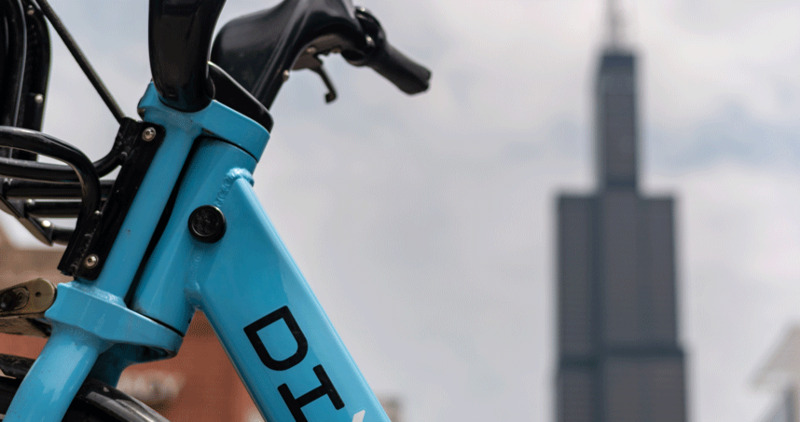 Mobility policy such as Divvy bikeshare tends to be designed at city-scale. Collecting data from different types of communities and analyzing local attitudes systematically is a first step toward tailoring system features to different communities. The next step is to expand the analysis to more community areas, but also to dig deeper into neighborhoods. The researchers note that there is a lot of variability among different resident groups, including community members embracing locally grounded active mobility such as Chicago Cruisers community bike club, that they need to explore further. “Where does active travel fit within local community narratives of mobility space and place?” was made possible by Humboldt Park’s Puerto Rican Cultural Center and Diabetes Empowerment Center, the Age Friendly and Citizens’ Greener Evanston task forces, and Evanston’s Office of Transportation and Mobility. Northwestern alumna Karla Sanabria-Véaz of the University of Puerto Rico and Ying Chen, research assistant professor in the Northwestern University Transportation Center, were integral to the work.